Everyone needs to be able to have dental care. However, some people need special facilities or services to have this care provided. People with physical disabilities may have problems getting into the surgery or even into the dental chair. People with learning disabilities may become overanxious at the thought of going to the dentist or may need extra reassurance. People suffering from severe medical problems may need extra precautions or care. Dentists are able to take account of all these things when providing dental care. Many dentists will happily treat people with special dental needs in their surgery. However, for some people access is difficult and so other arrangements should be made by the practice, for example home visits and special health centres. Some people need a specialist service. The local Community Dental Service offers treatment for people with learning difficulties or a medical disability. This includes anybody who has a medical condition that needs extra time, care or special facilities. Some hospitals or health centres will also help people needing specialist care and may be able to offer possible treatment alternatives, such as sedation or general anaesthetic. Usually the patient’s dentist or doctor is responsible for referring them to the clinic best suited to the patient’ needs. Some Community Dental Services allow patients to refer themselves. Normally, the dentist or doctor will write a referral letter and send it, with any hospital letters and x-rays, to give the Community Dental Officer an idea of the patient’s dental history. The dentist will need to know the patient’s medical history and about any medicines they are taking. This includes any inhalers and regularly prescribed medicines from the doctor. The dentist will also need to know the name of the family doctor, hospital consultant, and about any recent operations and allergies the patient may have. It is also helpful if the dental team know about any concerns or anxieties the patient has, so that they can help to make the patient feel at ease. This information can be given by the patient’s parents or carer. However, some patients do prefer to communicate directly with the dentist. Some patients may have other special needs, for example, the help of an interpreter or translator, or to have a guide dog. Dentists are prepared for working in these circumstances. Some patients prefer to be seen at certain times of the day depending on their needs. For instance, evening appointments may not be suitable for those patients that tire easily or may spend the day worrying. Some patients rely heavily on routine and may need regular appointments at the same time. All practices should offer facilities for wheelchair users, including access to the practice and ground floor surgeries. If wheelchair access is particularly important, contact the surgery and ask if this is something they are prepared for. Some clinics have specially adapted surgeries for patients with mobility problems. Can treatment be carried out at home? Some dentists may offer home or ‘domiciliary’ visits for people who are housebound or have difficulty visiting the surgery. However, treatment options are limited outside the surgery. The receptionist will be able to tell you if home visits are an option and make any relevant appointments. Children with learning disabilities or other medical conditions may be referred to the Community Dental Service by their doctor, dentist or health visitor. It is important to register children with a dentist at an early age. A low-sugar diet is also important, as they may be more likely to have dental decay due to difficulty in cleaning and through taking medication. Make sure fizzy drinks, and sugary foods and drinks are kept to mealtimes only and are taken in moderation. Many patients with disabilities have to rely on medication to keep their condition under control. It is therefore important to ask the GP to prescribe sugar – free medicines, especially syrups. It is important to tell the dental team about any medication that the patient is taking, in case any further precautions should be taken or the treatment is affected. For some people, manual movement can be a problem, which makes effective cleaning difficult. It is important to reach all the areas of the mouth to clean effectively. A small- to medium-headed toothbrush with soft to medium bristles is usually recommended. There are special handgrips and other adaptations which can be fitted to manual toothbrushes to make them easier to hold. In some cases, electric toothbrushes are recommended for people with mobility problems. They are also helpful to those with learning difficulties as they can be a novelty and therefore encourage tooth brushing. The dentist or dental team will be able to offer advice and practical help on tooth brushing and general mouth care. Intravenous sedation (injection) is an effective way of treating most nervous patients. The drugs given can relax and calm the patient, so treatment can be carried out with dentist and patient still able to talk to each other. There are certain things that affect a patient’s suitability for this type of sedation. These include weight, age and medical condition. This would all be discussed during the consultation and the necessary information given. Usually the patient would need to be referred to a specialist clinic for this treatment. Relative Analgesia (RA) can also help patients get through their treatment more easily. Here, nitrous oxide and oxygen gases are breathed in through a nosepiece. It is the safest and simplest form of sedation and is often the one most suitable for both children and people with special needs. However, this is not appropriate for everyone, especially people with limited understanding, cerebral palsy or multiple sclerosis. In some cases the dental team prefer to use alternative methods of calming the patient. These can include simply talking, visiting the practice to meet staff or even hypnosis. These can all be effective in making the patient less anxious. How often should the dentist be seen? It is important to visit the dentist regularly. This would normally be every six months, but some people need to visit less often and others more often. The dentist will be able to tell you. 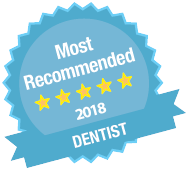 The dentist may also recommend appointments with a dental hygienist who will clean the teeth and offer advice on how to brush effectively and maintain good oral hygiene. The dentist may also offer advice to carers about the dental care of others. It is very important to build a relationship between the dental team, the patient and their carer, which can help greatly with people who have severe learning difficulties. Short, but regular appointments seem to work better at building trust between patient and dental team than irregular, long appointments. What treatment should be paid for? Treatment may be available under the National Health Service or privately, depending on the practice. NHS treatment is free for people getting benefit. If the patient is on a particularly low income, but does not claim any benefits, then they may get help with charges by filling in an HC1 form. You can get these from either the dental practice or doctor’s surgery and you may be able to get help towards dental costs and eye tests among other things. It is also important to ask for a treatment plan and estimate of charges at the time of the check up to avoid confusion with payment. The Community Dental Service will provide most treatment free of charge. However, charges will be made for any private treatment carried out. In some cases treatment needing laboratory work, such as dentures, bridges, and crowns, will also be charged for.